If SXSW 2012 can have an overarching theme, it's this: You don't have to be in Silicon Valley to be a startup. No matter if you live in Omaha, Nebraska or Detroit or even a small town in between, you can create a vibrant startup scene. Not only is the technology there, but entrepreneurial communities centered around academic institutions are sprouting up across the country. To complete the ideal entrepreneur ecosystem, however, you'll also need a healthy mix of angel investors, venture capitalists, recruiters, junior talent and leaders. 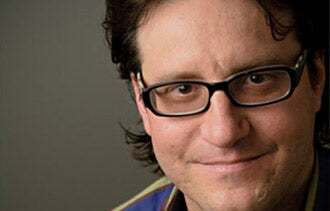 That's according to Betterworks CEO Paige Craig, Nick Seguin from the Kauffman Foundation, Shane Reiser from Startup Weekend, and prominent VC Brad Feld. 1. Create awareness. You can start by reaching out directly to key stakeholders in your city, both in the public and private sectors. A critical component to awareness is developing your community's story. More often than not, it's easier to think of your community's weaknesses (like geographic location or population) rather than identifying the one authentic cultural characteristic that can define your city. Make that your story and rally behind it. There should also be a balance of online and offline activity. Running and updating a consistent blog is just as important as getting people together in a room or organizing quarterly events. 2. Establish a culture and community of mentorship. Ideally, these mentors won't be divas. Rather, they should be experienced men and women who are willing to work behind the scenes -- one on one -- with the newest class of startups. 3. Seek out strong leaders. These entrepreneurs will be able to launch initiatives and build consensus among members. The right leaders are generally community focused and out for the betterment of their neighbors. The ultimate goal for these leaders is to help foster a "community of helping" that will attract new talent and create strong ties back to the community if successful startups leave for other cities. The JOBS Act will be a major game changer, opening up unprecedented new ways for entrepreneurs to get access to funding their startups. The American entrepreneur ecosystem will truly be flat. Entrepreneurship communities will be everywhere, independent of Silicon Valley. And finally, universities will play a larger role than ever, putting money and resources to work. In the near future it will be common for companies to come out of academic institutions. What is the state of your entrepreneurial community and the challenges you face? Leave a comment and let us know.